Bar staffers immediately rushed over to break it up, but Puig turned on them … getting physical with several staffers. The crew was eventually able to get Puig outside where they say he brutally sucker punched the manager, setting off a brawl. Cops say they believe the incident was “mutual combat” and both sides have told them charges will not be pressed. 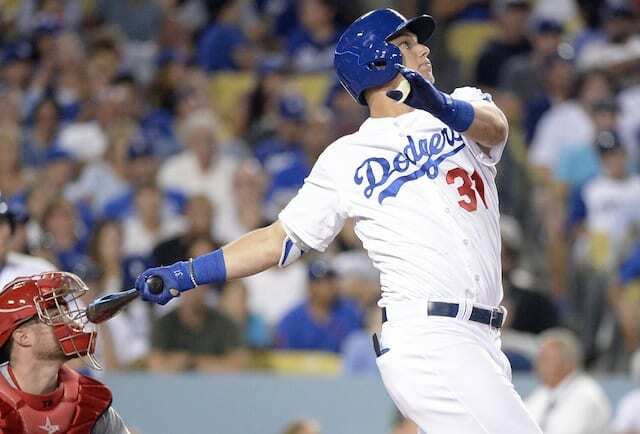 Coming off a disappointing season in which hamstring injuries limited Yasiel Puig to a career-low 79 games, Los Angeles Dodgers president of baseball operations Andrew Friedman called the right fielder a “wild card” for the 2016 season. Friedman added he wants Puig to focus this offseason on shedding weight, which the Dodgers executive believes will be of benefit as it pertains to avoiding hamstring trouble. 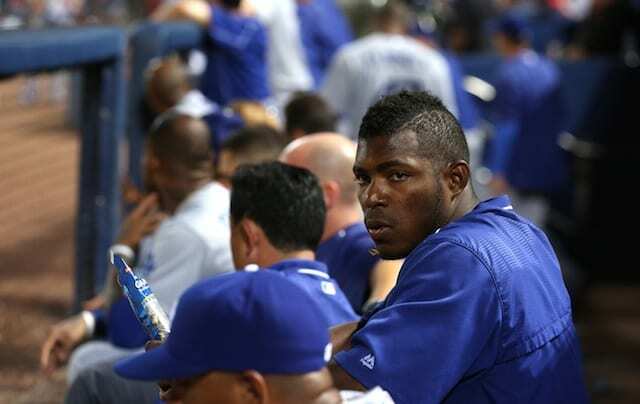 The 24-year-old Puig was recently at the center of headlines when Andy Van Slyke, father of Dodgers outfielder Scott Van Slyke, implied Clayton Kershaw suggested to the front office that Puig be traded. Puig has been linked to trade rumors on multiple occasions over the last two years, and Dodgers ownership is said to be more open to moving him now than in previous instances. The Dodgers and Major League Baseball have not commented on the report. Puig hit .255/.322/.436 with 11 home runs, 38 RBIs, a .328 wOBA and 111 wRC+ last season, all of which are career-worst marks. He’ll turn 25 years old on Dec. 7 and is under team control through the next four seasons. Some believe Puig will be made available for trade this winter in exchange for a young starting pitcher.